Results of the Electrical Engineer and Master Electrician board exams held in April 2016 are released online. View the list of passers and top 10 here. 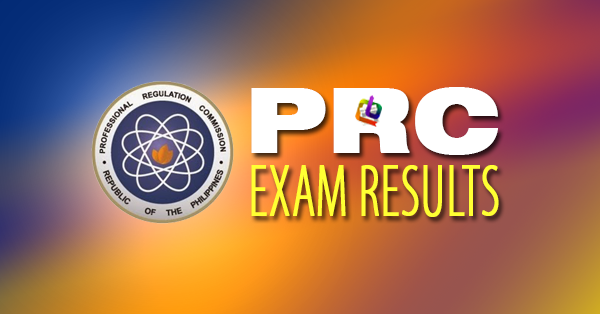 The Professional Regulation Commission (PRC) announced Friday that 808 out of 1,957 Registered Electrical Engineers and 1,633 out of 2,914 Registered Master Electricians successfully passed the Electrical Engineer Licensure Examinations given by the Board of Electrical Engineering in Manila, Baguio, Cagayan De Oro, Cebu, Davao, Iloilo, Legazpi and Lucena this April 2016. The members of the Board of Electrical Engineering who gave the licensure examinations are Engr. Francis V. Mapile, Chairman and Engr. Jaime V. Mendoza, Member. Starting April 20, 2016, registration for the issuance of Professional Identification Card (ID) and Certificate of Registration will be done on-line. Please go to www.prc.gov.ph and follow instructions for initial registration. Those who will register are required to bring the following: duly accomplished Oath Form or Panunumpa ng Propesyonal, current Community Tax Certificate (cedula), 1 piece passport size picture (colored with white background and complete name tag), 2 sets of documentary stamps and 1 short brown envelope with name and profession. Successful examinees should personally register and sign in the Roster of Registered Professionals. The date and venue for the oathtaking ceremony of the new successful examinees in the said examinations will be announced later, the PRC added. Takers and everyone who waited for the results of the Electrical Engineer and Master Electrician board exams for April 2016 are encouraged to bookmark and visit this site regularly, like our Facebook page, follow us on Twitter, add us on Google+, or subscribe to our daily newsfeed via RSS or Email for relevant updates.